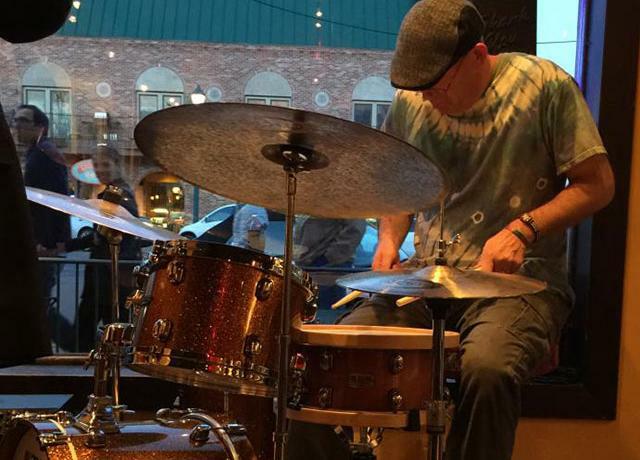 Paul Shaw grew up in Southern New Jersey and began playing the drums at age 5. He attended Rutgers University and Georgia State University, where he was a Jazz Studies major. He graduated with a bachelor's degree from Excelsior College with a major in music and history. He joined the Marine Corps and spent four years stationed with the 1st Marine Division Band at Camp Pendelton, CA. He then joined the Air Force as a big band drummer. He has played with the Band of the Air Force Reserve, the United States Air Forces in Europe Band, and the United States Air Force Band of Mid-America. Paul has served as an adjunct professor of music at Mercer University and has taught privately for 14 years. Paul has been a member of many jazz groups including Inside Out; a traditional jazz quintet regularly featured on National Public Radio, and The Swing Association; a traditional jazz quartet voted Atlanta’s top jazz ensemble during Paul’s tenure with the group. Paul has performed with many notable musicians throughout his military career including: Wynonna Judd, Amy Grant, Mark Anthony, Celine Dion, Jessica Simpson, Ricochet, Lisa Angelle, Jolie and the Wanted, Lee Greenwood, Lonestar, Trick Pony, Vince Gil, Blues Traveler, and Restless Heart. He has performed at the Superbowl and Rose Parade. Paul was the Assistant Director and drum line instructor of the United States Air Force Academy Cadet Drum and Bugle Corps, Director of the Cadet jazz band, and drummer with the US Air Force Falconaires prior to his retirement in July, 2016. Paul has also played many civilian performances with artists including: Brad Shepik, Oscar Brown Jr., Donald Harrison, Chris Vadala, Delbert Felix, Frank Lacy, Jerry Byrd, Gwen Hughes, Nnenna Frehlon, Lizz Wright, Rick Simmerly, Dave Steinmeyer, Bill Anshell, Steve Nelson, James Stewart, Gilbert Castellanos, Jacques Lesure, John Popper, Jiggs Whigham, Johnny O’Neal, Tom Coster, Devon Allman, Bill Watrous, Jim Pugh, bassist Kim Stone of Spyro Gyra and legendary bassist Rufus Reid. Paul has studied privately with Ari Hoenig, Jeff Hamilton, John Riley, Peter Erskine, Ralph Peterson, Kenny Barron, Larry Riddley, Ted Dunbar, Mike Mossman, Ralph Bowen, Jack Bell, William Moersch, Pat Piffner, Keith Copeland, Edgar Bateman, Alan Farnham, Chris Orazi, N’dugu Chancelor, Rufus Reid, Jimmy McNeely, Ricky Sebastian, Dana Hall, Steve Davis, Joe Morello and Mark Colenburg.